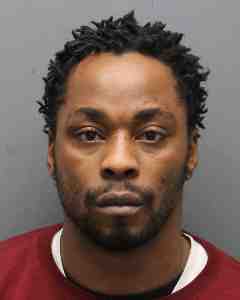 March 1, 2018 -- Westchester County District Attorney Anthony A. Scarpino, Jr. announced that Sheppard Adeghe (DOB 07/25/85) of Yonkers pleaded guilty on Wednesday to Manslaughter in the First Degree, a B violent felony, in the shooting death of Elias Flores. County Court Judge Barry Warhit accepted the plea. The defendant faces a maximum of 25 years in state prison. He is scheduled for sentencing Oct. 18, 2018. On Aug. 10, 2016, at approximately 7:15 p.m., a car drove into the emergency room area at St. Joseph’s Medical Center in Yonkers. The victim, who was suffering from a gunshot wound, was dropped off and later pronounced dead. An autopsy by the medical examiner determined the cause of death to be a single gunshot wound that passed through the victim’s arm and entered his chest. Detectives from the Yonkers Police Department located the car that transported the victim to the hospital. Blood stains were found in the backseat. Two days later, Aug. 12, 2016, Adeghe applied for and was issued an emergency United States passport. That same day he boarded an international flight to Amsterdam, The Netherlands. From there, he flew to Edinburgh, Scotland. In the course of their investigation, Yonkers detectives obtained information leading to the identification of the defendant, placing Adeghe on Poplar Street at the time the victim was shot and just before his arrival at the hospital. On Aug. 26, 2016, Yonkers Police received a tip Adeghe was in Edinburgh. On Sept. 1, 2016, police there executed a Federal warrant and detained the defendant. Extradition proceedings were commenced which resulted in Adeghe’s return to the United States with the assistance of the United States Department of State and the Federal Bureau of Investigation. Assistant District Attorney Julia Cornachio and Assistant District Attorney Brian Bendish of the Superior Court Trial Division prosecuted the case.